The telltale tau proteins present in the disease known as CTE display distinctive features. (Inside Science) -- In a study of the brains of three people diagnosed with chronic traumatic encephalopathy, or CTE, researchers have found new details about the disease that could eventually lead to ways to diagnose it earlier and treat it. The researchers say these insights show that the tau proteins found in CTE differ from those found in other neurodegenerative diseases that are also linked to abnormal collections of the same protein. The disease now known as CTE was first described as "punch drunk syndrome" in the 1920s to capture the mental decline exhibited by some boxers. CTE is associated with repeated exposure to head impacts, such as those experienced by athletes, members of the military and others, and can lead to symptoms such as cognitive impairment, impulsive behavior and suicidal thoughts. In the new study, the researchers analyzed the brains of two boxers and one American football player diagnosed with CTE and found fundamental similarities in the disease across all three cases. CTE can be diagnosed only after death by examining the brain for a specific pattern of tau proteins. 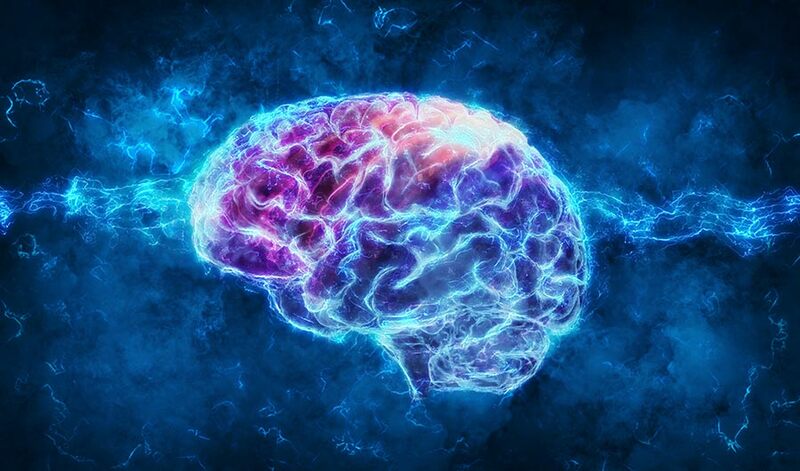 Tau proteins are present in human brains under normal conditions, but they gather in abnormal clumps and tangles in the brains of people who have neurodegenerative diseases such as Alzheimer's and CTE. The new research, published yesterday in the journal Nature, uses a powerful technique called cryo-electron microscopy to discern minute details, including how the tau proteins found in CTE fold and then twist into narrow structures called filaments -- features smaller than one-ten-millionth of a meter, or just a tiny fraction of the width of a human hair. "The fact that the structures of these filaments from CTE are different from the Alzheimer's ones is important, I think, because so far that wasn't clear," said Michel Goedert, who has studied tau proteins and neurodegenerative diseases for more than 30 years at the MRC Laboratory of Molecular Biology, in Cambridge, U.K. The new finding makes the case that Alzheimer's disease and CTE are really fundamentally different diseases, said Lee Goldstein, a researcher at Boston University's CTE Center who was not involved with the new study. "Both result in dementia eventually, but they do so likely by different molecular mechanisms." Additionally, Goedert and his colleagues found never-before-seen pockets, called inclusions, containing some presently unknown molecules within the tau filaments of brains affected by CTE. "So far this is the only structure of tau filament from the human brain where you see these inclusions," Goedert said. "We obviously have to figure out what it is." That knowledge might unlock much more information about the origin of the disease. Goedert said that in CTE, the tau proteins often gather in cells located near blood vessels. It could be, he speculated, that the mystery molecules within the tau filament pocket enter the brain through the blood and induce tau to gather near the blood vessels. Or, he said, an inflammation reaction could cause tau to collect. The researchers have thus far studied tau proteins from the brains of three people diagnosed with CTE. Goedert said that he would like to investigate proteins from more cases of CTE, but that it is difficult to produce large numbers of images. In recent years it became possible to magnify the tau protein filaments enough to notice the kinds of details revealed in the new study, and the group has published separate studies based on the brains of 19 people with Alzheimer's and nine with Pick's disease, a different affliction that also has abnormal tau proteins. "One would always like to see more brains. But I'm pretty confident that what they're looking at is representative of the vast majority of CTE cases," said Byron Caughey, a senior investigator at the National Institute of Allergy and Infectious Diseases in Hamilton, Montana, who studies tau-associated diseases and was not involved in the new research. "But, it's a heroic effort just to get to this point." "In all three cases [of CTE] you see this very unusual molecular pathology, and it's the same in all three. It's pretty damn convincing to me," said Goldstein. The new research may help neuroscientists build a better understanding of how CTE develops and progresses, which in turn will help them design better ways to test for the disease, and eventually treat it, Goldstein said. "You can say that it starts taking things out of their infancy," said Goedert. Will We Ever Cure Alzheimer’s Disease?